"Gran apuesta de Apache que ha quedado en el olvido"
OpenOffice Draw te deja una buena sensación en sus primeros usos, es fresco, intuitivo y da la impresión de no tener nada que envidiar a sus grandes competidores. Más si cabe después de ver que viene incluido en el paquete OpenOffice de forma completamente gratuita. No no recomiendo en ningún caso. Es un software que han dejado en el olvido. Ya no recibe actualizaciones y el soporte es muy limitado, por lo cual no estarás apoyado en casi nada. Por desgracia, mucho mejor invertir algo de dinero y trabajar con CorelDraw. Tendrás un software de mucha mejor calidad y una comunidad donde resolver tus dudas. Sinceramente, pocos. No es un software que invite a dedicarle mucho tiempo y tampoco te ayude mucho en el dia a dia. Mucho mejor CorelDraw. "OpenOffice Draw is a really practical app "
I love how quick and easy I can create three-dimensional figures with this program. in my opinion it is easier to create figures in this program than in Photo shop to be honest. its simplicity make this program shine, once you check a couple of tutorial you are good to go and let you creativity goes wild. The other thing that I do not like about this program is due to its simplicity. I feel that I can not find another practical use beside to create figures, draw something or create a logo. It helps me save time at the moment I need to create a figure like fruit , cell phone, furniture or even a background. Since I have been using this program for more than 2 months, quality and efficiency have increased. Another thing is to create logos now it's easier with OpenOffice draw , it takes me 10 to 15 minutes, of course if I have a clear idea of what I have to do, but in Photoshop it takes me around 20 minutes or more since most of the time I forget where some of feature are locate. "Excellent tool for drawing vectorized graphics and diagrams in OpenOffice"
This tool for creating graphics and vectorized diagrams allows to close and import the diagrams and graphics created to the rest of the programs of the OpenOffice suite such as Writer and Impress. It has the functionality to visualize in 3D those drawings that were created in draw allowing adding textures and controlling the illumination of the drawings converted to 3D. There are few professionals with solid knowledge to respond to any problem. The technical support is provided by the community, if you require developer support it is usually offered in English. "Apache OpenOffice Draw una alternativa a Corel Draw"
Recomiendo OpenOffice Draw totalmente ya que es un software libre y cumple con los requisitos mínimos de un editor de gráficos vectoriales. Seguramente no sea tan completo como el Corel Draw pero al ser gratuito el riesgo es 0 al utilizarlo. "Una buena alternativa a Corel Draw y gratuita "
OpenOffice Draw software implements opensource philosophy, all documents import / export are stable and clear, meet open document standards, cross-platform, compatibility. Everything an ordinary and advanced user a needs for making visualizations inside or outside documents staying in OpenOffice suite environment. I have not used this feature a lot but OpenOffice Draw has objects manipulation functionality to rotate in two or three dimensions; the 3D controller allows you to create spheres, rings, cubes, etc. in a quick pinch. Built-in and pluggable (extensions) image galleries. Works with common image formats (import/export), able to create and edit flash files. GUI can be customized by OpenOffice and icon themes. It is free, open-source software package, cross-platform and very compatible. Different wizards with templates for document formats. Built-in Pdf export, the same as other OpenOffice packages. A long list of functions: document templates, frames, mail merge, a style manager, section-based headers and footers, and much more. I do not find feature to dislike in OpenOffice, except high memory consumption with certain configuration. I needed to search the internet for making it faster with some performance and optimization fine-tuning. Many sites and tutorials advice to migrate to LibreOffice and/or choose other alternatives for office software. A best free alternative for Microsoft Office similar products, following Open Document Format for Office Applications (OpenDocument) standards. Free,useful and intuitive. Using primitives i can draw / create beautiful imagery for different purposes ( diagrams, chart, embed photos, etc.). I really like that there is a free graphics software that is open source. The very fact that it is free lends itself to companies that are having a hard time getting off the ground. The good thing about when it crashes is that it always allows you to recover whatever documents you were working on. It is a bit difficult to edit PDF documents unless I use a third-party plug-in. Also, the ticks on the ruler don't always stay where I want them to. Also, sometimes it crashes without warning. Make sure that you have the space for the whole suite because Apache bundles everything together unless you specifically opt out of all components of OpenOffice. I am always looking for ways to save money without sacrificing my quality control. Mostly this is used for highlighting parts of a page, but occasionally math. This program is very easy to install and use. It can be used in any operating system (Windows, Linux or Mac). We can use it the whole family, since it is very useful to make diagrams, brochures, vector drawings. This application allows the integration of text, photos, etc. To generate courses is extremely comfortable, since we can have the study material and do the class. Excellent program to make publicity announcements and flow diagrams, mental maps, conceptual maps, among others, since we can synchronize images with text specified by the user. Handles all types of images and their files can be used on any computer. It is an application of easy use and you learn very fast, since you do not need sophisticated knowledge to use it. It can be associated with other tools to obtain a better benefit. The structure of the slides is lost when used in proprietary software. The format of other similar software is not maintained, a lot of information is lost and, paractically, the work must be done again. It is very didactic and easy to use, the versatility of the menu allows you to easily navigate and find the options you require comfortably. You can add the experiences of activities and avoid workshops. It allows me to do the courses in a summarized way and so I can explain it with images to the students in less time than stipulated. You always can create whatever you want without using programs like paint in your computer, it is funny and the images you draw look naturals. The desings are created by selecting the set of tool this program has in a board, gradually we can select those what we want to create. I like it, is very easy to me, it has multiples characteristics that help me to draw those logos I need in my store, but rarely in cannot be drawn well due to the simple set of tools implemened. I will recommend it to everyone, it has easy tools and the best important, you can import information. I have created a new logo with its respective slogan, my store really needed it so it came in good time to help in my desire about creating my brand. Its benefits has mainly been to bring me draw my own design. "Diseña de manera facil con Open Office Draw"
Me encanta lo facil que puede resultar tanto para gente experta como para gente que nunca ha usado este tipo de programas de edicion artistica. Desde que lo probé lo suelo usar siempre que no tengo tiempo para diseñar a traves de Photoshop. Ademas tiene funciones no solo de dibujo si no de diseño 3d muy simplificadas y asequibles. Ademas gracias a su entorno, similar a corel draw incluido el uso de elementos vectoriales se puede usar para crear presentaciones muy rapidamente para tus proyectos de trabajo o escuela algo que ayuda muchisimo a los estudiantes y trabajadores. Pese a que es un buen programa pienso que el diseño es demasiado simple y algunas veces incluso tosco. Siendo gratuito tampoco puede pedirle mucho mas pero claro el entorno puede echar para atras a mucha gente que busque programas mas profesionales para sus clientes. Quizá el resultado final pueda parecer poco profesional y para algunos trabajo se quedaria corto. Si recomendaria Open Office Draw a todos aquellos usuarios profesionales o domesticos que necesiten realizar pequeños dibujos o presentaciones con elementos vectorizados, ya que su simpleza y verstailidad lo hacen un serio competidor para otros programas de pago similares. Pues gracias a la simpleza de entorno y de utilizacion de sus herramientas, como hemos dicho es un programa que me ha ayudado a ahorrar mucho timempo. Al no necesitar tantas capas y herramientas como sucede con photoshop es posible realizar dibujos, ilustraciones y diseños rapidos en poco menos de 15 minutos, algo que en el otro programa me llevaria horas debido a su complejidad. "Excellent open source package for diagramming & flowcharts"
Free. Very easy to learn. Can be used to illustrate absolutely anything like Flowcharts, layouts, designs, etc. Can export to all graphical file formats. Love the smart connectors for flowcharts. May discontinue support in the future. Does not have support to import CAD or Revit files. Would love to see other 3D formats integration as well. Has almost all features as Visio and does not cost anything. Give it a try. Its easy to learn and images can be exported to all graphical file formats. Quick illustrations for our baggage system designs, flow diagrams, layout of airport check-in lobbies, etc. My favorite thing is that it is free. You can add textures, lights , images. You can use what you create with almost every others software, so have a good compatibility. Small learning curve. To be expected. Very easy if you've had any experience with graphics programs. However, it must be emphasized that the program delivers 95-98% of what the casual user would require. If you are an advanced user , just let openoffice draw for who don't require to do complex projects. I use this program for my business of graphic work and minimal logo designing. I've been able to create simple graphics for reports and presentations. I like open office draw because it is a simple and quick way of drawing using your'e computer. You can click new drawing without opening a new file to start a new drawing. You can toggle through the open drawings without closing the multiple drawings. You can draw, zoom rotate, group objects , zoom through layers, and arrange the different layers to your'e liking. Typically i use photoshop, so there have been some switching over issues such as what tools are where and also that it is not compatible with switching over to Microsoft office. It might not be compatible with all computers but im not sure because i use it on a Mac computer. Definitely give it a try, if it doesn't fulfill you're needs, just switch. It offers a completely free solution to anyones computer drawing needs, and as a computer savy person i found it to be completely understandable and easy to use. We use it as a solution for our clients to download if they don't have photoshop and want to present a rough drawing to us. I like that is simple, really easy to use and remembers me Office 2000. I can do simple sketches if i want to design a logo or something else. Is very very simple and cannot be compared with real software for draw or design like photoshop, illustrator etc.. Very limitate , you can use it just for simple projects. I used sometimes for drawing sketches if i didn't want to open photoshop. I like the easy way t draw diagrams for any purposes, it comes from a simple picture to a complicated diagram. The draws are powerful and the tools too. I don´t like that some tools are very complex to use, sometime I do not understand its functions, I think it could be a little more easy to the users. I recommend Apache because it has multiples tools and characteristics that others graphics designers have not. I have created new designs for my groceries, always implementing the tools that this software gives me. I have received the concrete draw of the graphics, these are well designed and clear to show to the people. "MS Office alternative - for free!" The first thing that I like about OpenOffice is the price, you cannot beat free! I really don't find anything to dislike about OpenOffice....perhaps that there isn't a ribbon interface like MS Office. I use OpenOffice for my own personal use. I like the fact that it can open files made in MS Office. "OpenOffice Draw is very productive app"
Very easy to create 3d objects and it is pretty straight forward even for beginners., if you still deciding weather to go high level with photoshop or this software., think no more if you value your time - its easier snd way friendlier. "La mejor opción en cuanto al software de su gama"
Como software de diseño vectorial, permite trabajar con la mayor parte de las funcionalidades de sus hermanos de pago -Corel Draw es quizás su referente más inmediato- pero ofrece la ventaja de que se trata de un software gratuito y de código abierto. Al igual que otros programas similares, ofrece una interfaz enormemente intuitiva, con lo que trabajar con él es -literalmente- un juego de niños, pudiendo alcanzar resultados semiprofesionales. A pesar de ofrecer una herramienta lo sufiencientemente digna como parábola obtener resultados bastante aceptables, aún sigue estando lejos de otros programas como Corel Draw o Adobe Illustrator dentro del ámbito profesional. Ofrece determinados problemas a la hora de exportar e importar archivos, lo que le resta algo de flexibilidad. it is easy to use and you can import several file types. the snap alignment is really great. i hate when things are out of line and this feature is really helpful to keep things straight and even. being able to save to google drive is an absolute plus, as more and more companies are utilizing the google drive services. i didn't find anything to dislike, it was pretty easy to use. draw is a great program and i would recommend anyone trying to save their business some money to look into all of the openoffice programs. they are great tools that you can use for free and not have to pay to use microsoft office. using flow charts for business planning and implementation. openoffice draw really let's us plan proficiently. we are also able to go back and track our progress on our flow charts to make sure we are on task and seeing if we need to add more tasks to complete. "OpenOffice Draw is quick and basic"
OpenOffice draw is a quick and basic way to put together drawing elements. You can draft up something simple very quickly. It's also free. It's very limited. Doesn't really have a lot of features and options. Go ahead and get it because it's free. But if you need any particular features, you'll probably need something else. OpenOffice draw solves the need to put together quick diagrams or simple illustrations very quickly. So it's been a benefit, and we use it very often. Mostly to replace hand-drawings. When you need an illustration that's mostly boxes and elements, it's quick and easy. "The best drawing software compared to 3D paint and other simple drawing softwares"
It's FREE!!!!! It allows you to have all of your tools customized and placed wherever you prefer. Having to use mirror sites to download the software. Sometimes company's firewalls may block access to these download sites. Solving the ability to draw and create simple building layouts for prison door control graphical user interfaces. "OpenOffice Draw wins them all"
I love the shading options the most, that's something that is often lost in other programs. When I first started, there was a bit of a learning curve so I wish the tutorial was a bit better so I knew all the buttons immediately instead of trial and error. It's way easier to use OO Draw than trying to mess around with sketching on paper and then faxing it in when it's a simple design. OpenOffice is free to download and free to use. It's also really easy for beginners to learn, but it can be used advanced too. I don't like the format of the files; ODF! Most softwares use the DOC format. It also can have a lot of bugs and security risks. As a beginner it is a really useful app which helps you accomplish a task in the meantime. The features are basic but helpful, I find that I would like to be able to do a bit more with it but the ease of use for what is there, is good. A more comprehensive system of tools would be nice (and/or being able to do more with the tools that are there). This is an adequate basic program, especially for learning on. I find that my time goes further when using this program, I can figure things out pretty quickly. I use this program for my business of graphic work and minimal logo designing. My children use this program also and have been learning their way around with some ease. This program has a great layout and I like that it allows for the simplest of designing to the most advanced without having to switch to another program midway through. I also really enjoyed the option to create a flash version of your work. I felt like there could have been some easier shortcut commands. I was creating simple and complex designs in a single program which saved me time in the long run. I like the amount of features that are available and the availability of uploading images, pantone pallets and the various methods of exporting the data. i wish the lines were little more stable. i don't often use the auto draw arrow features. Improve the stability of the exports and make the overall functionality of the arrows drawing to be more stable. offer more options for graphics offered in the native program and maybe include easy integrations from other design programs. "Open Source Software great for the small business owner"
That is open source and free to use and provides multiple functions that any small business could benefit from. With any open source software, the only support is community support and/or search the internet and read a lot of forums where other and more experienced users have described what you want to do. This is great software for the small business since it is open source and free to use. Drawing maps of the farm which has complex layouts and unique farm area naming conventions so new employees would know where everything is. "Review of open office draw"
It’s easy to use and even allows you to create flash versions of your work. PDFs will default to only opening in Draw even when you don’t want them to. It’s great for creating wire frames. The benefits are that I can quickly create a wireframe without having to turn to other more complex software. "Easy to use, has its limits"
I would highlight that this software requires just some basic skills, it is quite intuitive and less hard to use than other programs. Being such an easy to use software it has some limitations and sometimes the results are not as smooth as with other programs, some of the more advanced techniques are not very accessible in the program. As it is free software it is a great tool to teach the basic skills to students or people interested in creating custom images. "OpenOffice Draw - Great Program"
My favorite thing is that it is free. I use the preset shapes the most. It is easy for anyone to use, even my children. You can make a flyer very quickly. There really isn't anything I dislike about the program. If I had to pick one thing, it would be that takes a little longer than my other programs to open, and the interface to find the program is not intuitive. Great alternative to purchasing other software. Can easily replace Microsoft Publisher, familiar feel to older versions of CorelDraw. Anyone in the office can use this program to create quick, inhouse flyers without disrupting our graphics department. "Awesome for basic graphic needs." The interface is intuitive and overall, it just works. As a longtime Adobe user, I tend to hold that as a standard, so my wish would be some more advanced tools for placing and layering graphics. If you have advanced graphic needs, use Adobe, otherwise, this package is more than enough! This program is easy to use and you can usually find help with a short google session. I don't really have anything I hate about this program, I wish it was pre-installed on my computer! This software makes creating new designs super easy and quick. I can create a graphic from start to finish in 15-20 minutes. "A solid illustration product, not as robust as professional tools"
OO Draw, a component of the Open Office Suite, is an ever-ready program for basic design work. As an open-source software product, it is always free to the end-user. The interface and capabilities are straight from 2007-8. In other words, state-of-the-art illustration software this ain't. However, it must be emphasized that the program delivers 95-98% of what the casual user would require. OO Draw is a quick and painless means of solving simple design issues. Because it's a free program it has saved our company the cost of additional installations of boxed software products. "Fits all of my design needs"
It's a free source software that provides basic and medium design options. Creating media content and corporative image. "Good for beginner design/illustrators "
It is basic and not for professionals seeking a very personalized design program. Especially if you’re looking for a wide range of options to pin point your artistic style. "Basic - Better Programs Out There"
I like that this program is good for basics and it came free with my computer, so in a pinch, it is good to use. Very limited capabilities. User interface could be more streamlined. In the beginning, just to have something to be able to work in before making a commitment to purchasing. It really does not have many benefits to our company in terms of problem solving. Very simple to use and it is free of charge, does all the editing that you would need for short projects. Interface seems outdated, has very little tools to work with the images. If you have no other editing software this would work for simple image editing. Not currently solving any problems with OpenOffice Draw. The only benefit is that it is free and to do very simple editing it works well. "Okay for a free program"
"Quick and Easy for simple tasks - thats it though"
To do simple tasks and bring your thoughts to a more concrete and visual idea it was easy. Other than that though that was it. Once you want to start doing more complex things thats where it gets more complicated than it should. To do anything besides 'basic' it just doesn't work. For someone who is more artistic I found it limited. Its easy to use for people who are not visual as it helps you and guides you to make more visual decisions. "Interesting change of pace "
The functionality and specs and ease of implementing ideas. Widening the flexibility of other design work I carry out. "Excellent tool for diagramming "
Everything has been very helpful most certainly recommend. Nothing at all I believe ita good as it is so far. No problems ita been helpful for Graphic for sure. It has more features than Paint. Can easily be used for powerpoint to create slides. Inserts picture and graphics easily. I love this program. Try it! You wont be disappointed. Great for advertising my own jewelry line and easy graphics for ad clients. "Good alternative to adobe product"
Es muy fácil de usar, tiene grandes usos. Es bastante lento y suele consumir muchos recursos. Hay ciertos trabajos que se realizan de manera más fácil que con otros programas. En este programa es más fácil vectorizar. "As useful as it gets"
OpenOffice Draw allows you to make all kind of diagrams and helps you structuring your design. It might seem a bit incomplete to some users coming from other programs, but only initially. Find some online tutorial to take your first steps! All kinds of desgin issues and necessities. Its a free hand tool. Not restrictive at all. Its like using a paper and pencil which is by far my favorite tool! I wished it had a standard format like most of the other drafting tools. * We monitor all OpenOffice Draw reviews to prevent fraudulent reviews and keep review quality high. We do not post reviews by company employees or direct competitors. Validated reviews require the user to submit a screenshot of the product containing their user ID, in order to verify a user is an actual user of the product. Hi there! 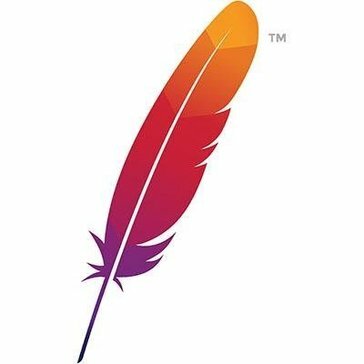 Are you looking to implement a solution like Apache Draw?